Live-out Chef for celebrity family home, London - Great role! 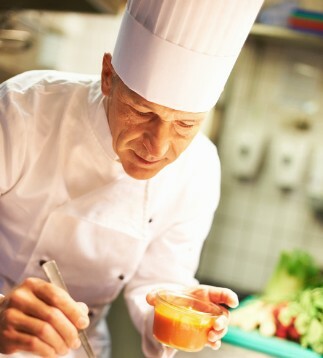 PHS-168 Live-out permanent full-time Chef position for celebrity family home, London - Great role! Our lovely returning client has asked us to find a new chef for their Kensington home as the existing chef has decided to move on after a number of happy years. They are looking for a flexible person providing breakfast, children's lunch and dinner, although they rarely sit down together to eat. They tend to like food pre-prepared and left in the fridge for the family to 'graze' as and when needed. The key to this role is that they need someone who is trained to provide healthy, low carb dishes and also suggest other healthy, nutritious options (raw vegan etc) as the family do like to try new 'foods' but must be healthy. You will work with the families nutritionist who will offer advice in terms of content. There will be an opportunity to travel to Los Angeles for a few months each year, where your working hours and days will be the same as London. All accommodation will be covered when travel is required. Are you looking for a full-time position as a live-out housekeeper? Are you searching to become a live-in full time nanny?